Both garage door tracks and rollers are essential part of garage mechanisms. How would sliding and overhead doors move otherwise? Consequently, possible problems related with their condition will have terrible effects to the actual movement of the door. Chances are that the door might be jammed and it might also remain open or move with difficulty. During such times you need the immediate assistance of our expert crews at Garage Door Repair Thornhill. Our experience with these systems in Ontario goes a long way back and we definitely have the knowledge and equipment to fix them properly. 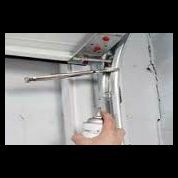 Do you need garage door tracks repair? 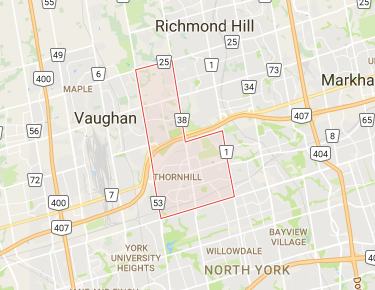 We actually offer immediate repair services in Thornhill and have the capacity to fix the bent garage door tracks and any problem associated with the rollers. The tracks are secured with brackets, which in turn are secured with nuts and bolts. If any of these tiny parts get loose, your garage door tracks will get misadjusted and need immediate repair. The consequences will be awful since the rollers won’t be able to roll properly causing the door to jam. For this reason, our 24 hour teams at Garage Door Repair Thornhill are at your service and quick responders to your emergency issues. Problems related to garage door rollers and tracks can be prevented with regular services. Our Garage Door Tracks in Thornhill promises thorough services. We check the condition of both components, lubricate them, tighten their nuts and if they are seriously worn, we can also replace them. We specialize in roller and garage door tracks replacement. We can replace one or more rollers and will replace either the horizontal, vertical or curved track or all of them. We fix dents and make sure rollers sit well in tracks. The rollers carry the door and as they roll up and down, the door moves along. Dented tracks will prevent this movement and that’s the reason we provide fast garage door tracks repair. You can be sure of our efficiency, professionalism and speed. You can count on our fast arrival and our expertise to offer top class services.